You've already got your spring dresses, shoe trends, and denim sorted, so what's left? Your new-season jewelry, of course. 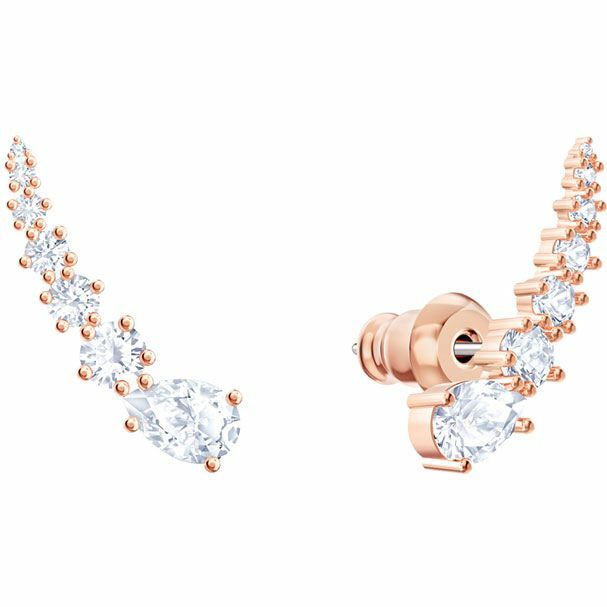 If you're on the hunt for beautiful yet affordable pieces to add to your collection, you might want to consider Penélope Cruz's latest collaboration with Swarovski. To get the scoop on the new line, I went straight to the source and tapped Cruz for her best jewelry tips. When I asked Cruz about her favorite jewelry trend for spring 2019, she was quick to point out one in particular. "I love the mismatched earrings trend that has been everywhere this spring," she told Who What Wear. "The options for styling are truly endless, so everyone can design a set that is completely unique to them. Pieces like the collection’s Penélope Cruz MoonSun Drop Earrings feature both a moon and star symbols, creating an asymmetrical look that still feels sophisticated." The new collection is an expansion to Cruz's existing Atelier Swarovski collaboration, introducing more affordable pieces into the mix. So why was this the time right to offer a lower price point? "My personal style tends to be more laid-back," Cruz told Who What Wear. "When I'm not on the red carpet, I don’t wear a lot of jewelry—just a special piece that means something to me. With this I mind, I wanted to make sure the collection offered pieces in styles that were more minimal and suited for everyday wear, in addition to the finer statement pieces released in February. I wanted to ensure that consumers everywhere were able to be able to build their own elevated jewelry collection, no matter what their budget." Scroll down to shop our favorite pieces from the collaboration.